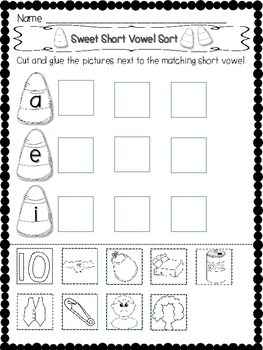 Activity 1: Sweet Short Vowel Sort: Cut, sort, and glue short i, short e, and short a picture cards. Activity 2: Nutty Noun Sort: Cut, sort, and glue word cards into groups (person, place, thing). 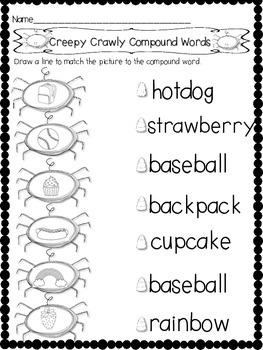 Activity 3: Creepy Crawly Compound Words: Match pictures to compound words. 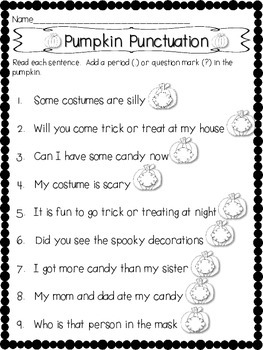 Activity 5: Narrative writing prompt that includes graphic organizer and writing paper. 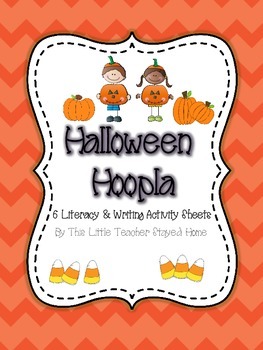 Activity 6: Expository writing prompt that includes graphic organizer and writing paper.